As you get older you want to make life easier for yourself and your relatives. 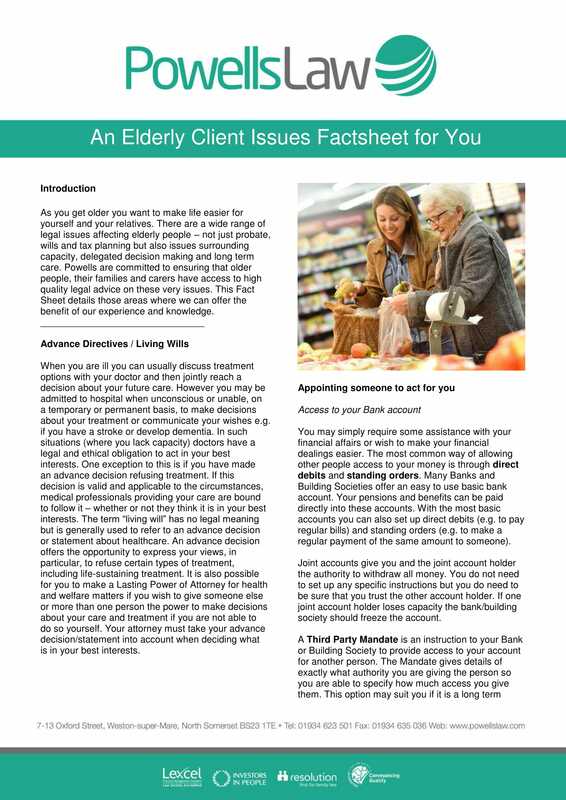 There are a wide range of legal issues affecting elderly people – not just probate, wills and tax planning but also issues surrounding capacity, delegated decision making and long term care. Powells are committed to ensuring that older people, their families and carers have access to high quality legal advice on these very issues. This Fact Sheet details those areas where we can offer the benefit of our experience and knowledge.